I have explained how master-slave paradigm with shared file system works. In this post, I will explain more advanced topic, namely, Network Of Brokers. I will demonstrate the procedures to setup a network of ActiveMQ brokers with Master-Slave pairs. As shown in the above figure, I configured two clusters. 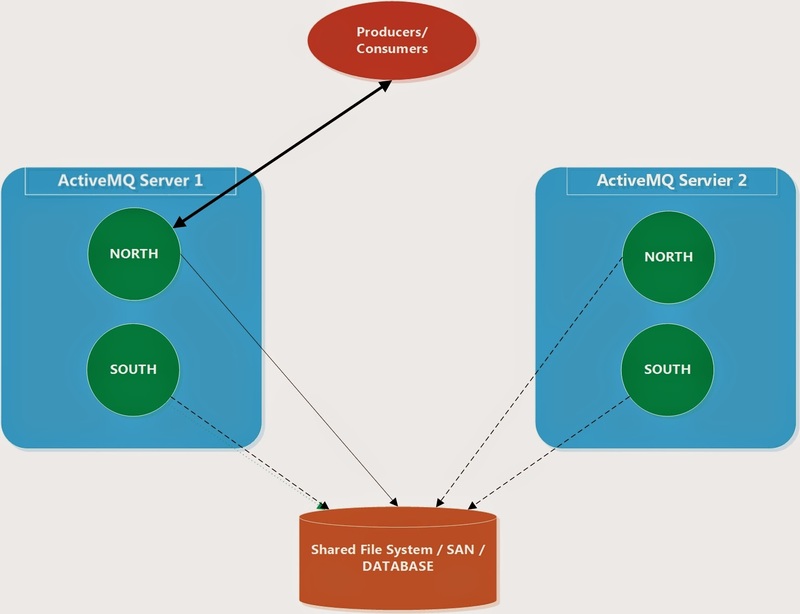 The WEST cluster contains two ActiveMQ nodes, namely, north and south. These two node forms a master-slave pair. Depending on applications, the nodes number could be 2 or 3. These nodes sharing the same NFS where the kahaDB is located. The same is for the EAST cluster. From the above configuration, you can see that I have configured two network connections, namely, Queue_Connector and Topic_Connector. Copy this activemq.xml to both north and south nodes, and leave the east cluster as it is as show my my previous blog of pure master-slave clustering. Current release of apache tomcat is version 8.0.17. We can download it from http://tomcat.apache.org/download-80.cgi. I am using RedHat Linux, so I downloaded tar.gz version. The new master ActiveMQ node is north from SANDBOXFUSEV02. I did not find a particular order about which slave will become next master. It seems whichever slave grab the lock at a particular moment after the master dies, will be come the new master. We have successfuly configured the tomcat to monitor ActiveMQ instance. The good thing about using Tomcat we container to monitoring activemq instance is that it automatically connects to the master node. The installation and configuration are fairly straightforward. 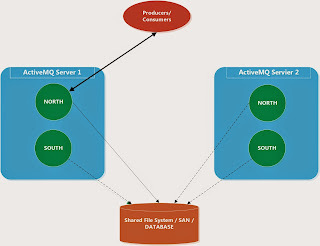 In my previous post, http://ggl-consulting.blogspot.com/2015/01/configure-activemq-for-high-available.html, I have demonstrate in detail about how to configure ActiveMQ for high-availability using Master-Slave Paradigm. 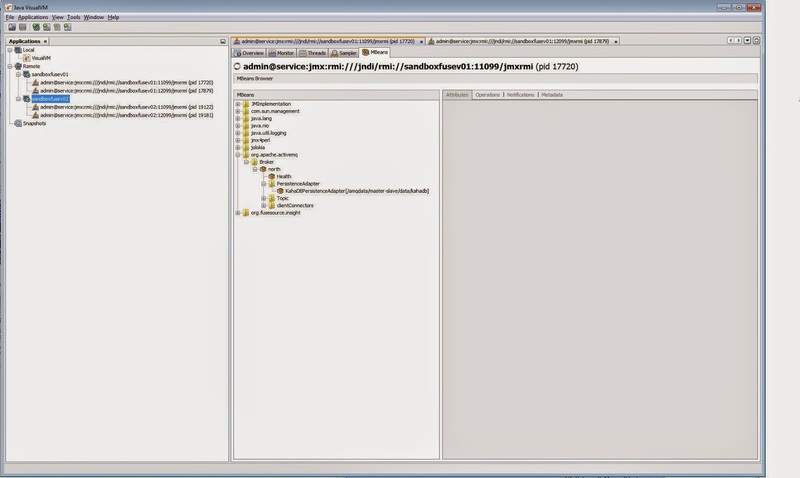 In this post, I will demonstrate the process to setup jVisualVM to monitoring all ActiveMQ instances in the cluster. 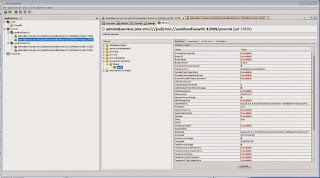 jVisualVM is a tool from JDK. 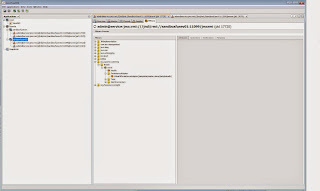 This is a very powerful visual tool to monitor java process, create thread and memory dumps, display dashboard, etc. It is much powerful than jconsole which also comes with JDK. 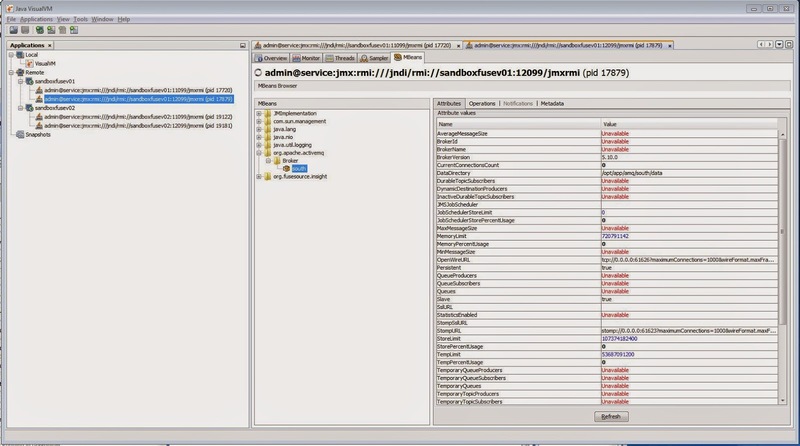 As shown in the above figure, if you run for the first time the jvisualvm, you will need to install MBean plugin by Tool-->Available Plugins. 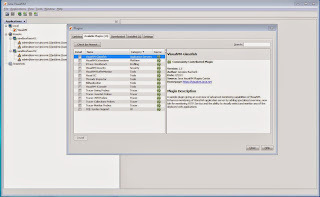 In my case, I have already installed the plugin, so that the available plugins only show 15 items. This is indicating that 3 ActiveMQ nodes are in standby modes or they are slaves. 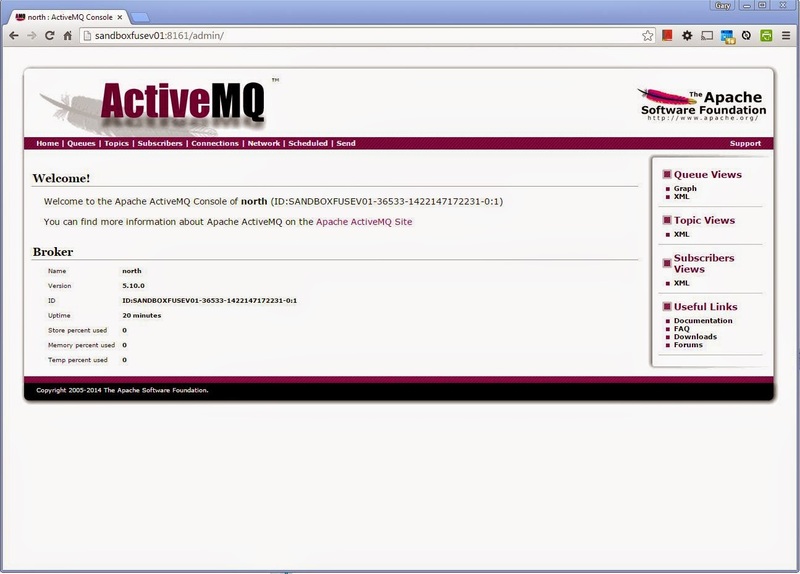 Enterprise messaging with ActiveMQ is very popular nowadays. It is very matured platform and it is free! Currently, the 5.10.0 release is available at http://activemq.apache.org/activemq-5100-release.html. As shown in the above diagram, I use two RedHat Linux boxes to configure 4 ActiveMQ broker nodes. All of these nodes share one file system [a directory where all nodes point to]. In general, we do not configure 2 activemq instance on one linux server in the production environment. Two or three ActiveMQ broker nodes to form a Master-Slave clustering is good enough to achieve high availability. You may create multiple clusters. I am going to explain that in later post to use Network Of Brokers with multiple clusters. Enough topology, now let's create the nodes. drwxr-xr-x. 3 root root     4096 Jan 14 10:27 ..
drwxr-xr-x. 6 amq  amqadmin 4096 Jan 24 14:06 .
is to tell ActiveMQ to use port 11099 as JMX connection port. The rmiServerPort must be defined, otherwise, the remote access will not be possible. The reason for this is that most enterprise environment block the unspecified port. Now, we have done all the configuration changes. We can start all the process and to see how this paradigm of high availability works. From above command and result, I can see that the java process with ID of 17720 is holding the lock at /amqdata/master-slave/data/kahadb/lock. So far we have covered the basic configuration of ActiveMQ for high availability using the Master-Slave paradigm with shared file system. In this paradigm, only master will grab the lock all the ActiveMA instances in the same cluster will be in a standby mode. We call them slaves. I also explained how to setup JMX and how to check ports which are ready for connections. Before we further explain how Master-Slave paradigm works, I would like demonstrate how to use JVisualVM and Tomcat container to monitor ActiveMA instances (nodes). I will cover these two topics in the next two blogs. 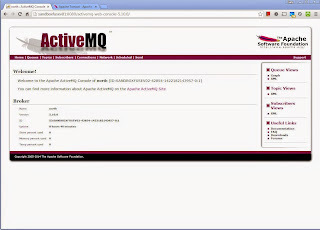 In my previous ActiveMQ introduction, I have explained the installation process, how to check what ports are used by ActiveMQ, and how to enable JMX. In this post, I am going to further explain the ports used by ActiveMQ. However the main purpose of this post to explain how to run the examples coming with ActiveMQ. 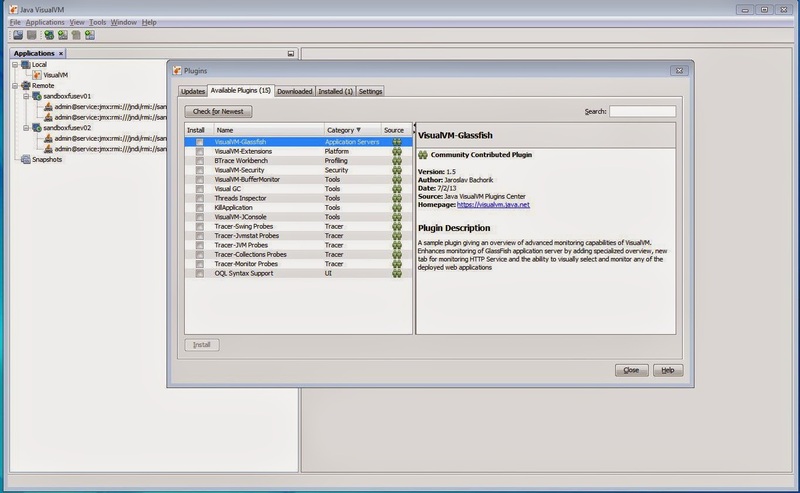 This technique is important for the future discuss on how to set up high availability features with ActiveMQ, so that we can verify the configuration. In the future posts, I will explain java programming techniques for writing producer and consumers for java developers, as well as advanced programing for enterprise integration using Apache Camel and ActiveMQ. Thus, we will study these examples in detail. Make sure ant is installed and the ANT_HOME and PATH are set properly. In the following post about ActiveMQ High Available Configuration with Master-Slave, I will cover more about how to run these examples.